Bergen is a picturesque coastal town in Norway. The central wharf area of Bergen is the inspiration for Frozen’s city of Arrandel. 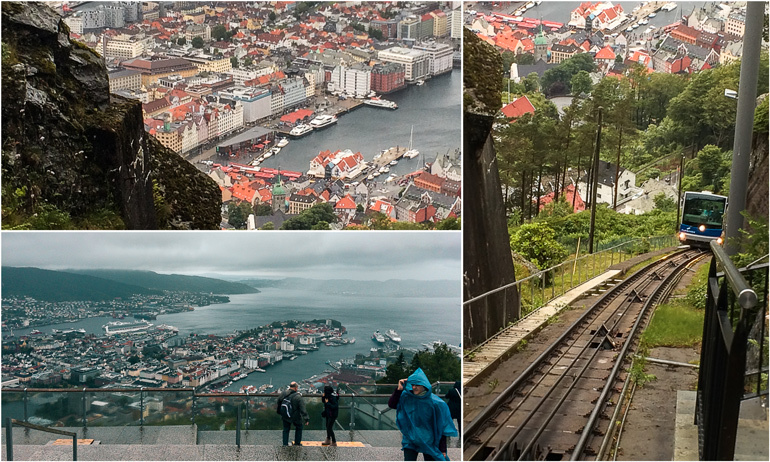 With it’s compact and walkable city centre and public transport Bergen is easy to explore. 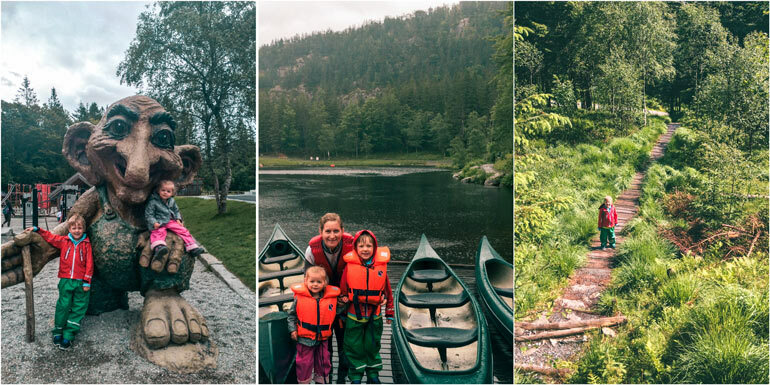 The mountains surrounding Bergen are home to Norway’s best family friendly hikes and the troll forest and playground. Easily accessible by a glass roof funicular. There are plenty of activities to do in Bergen. Check out the best of family friendly Bergen. 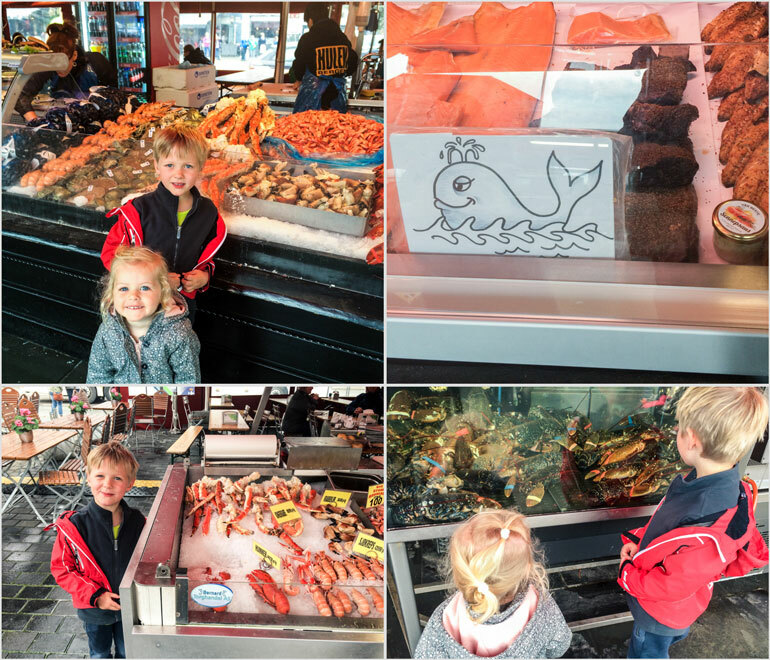 Bergen is the perfect destination with kids. You will find the Bergen Fish Market in the centre of town next to the harbour. The tented market has fishmongers selling live, fresh and cooked seafood. There are casual dining areas where you can eat full meals, choosing the seafood you want to be cooked. Being in the centre of the city it’s easy to pop in on your way past. We walked through 3 times and stopped for lunch one cold day for seafood chowder. If you want to eat some seafood outside of the fish market then head to Bryggeloftet near Bryggen, for good savings on their lunch menu, or Sostrene Hagelin where you can try the famous fishcakes that have been made with the original recipe of the Hagelin sisters since 1929. The base station of the Fløibanen, the Funicular railway which transports visitors up Mount Floyen, is found in the centre of Bergen not far from the Fish Market. There are 2 cars, holding up to 100 people each, the floor is tiered to allow for the steep incline and pushchairs can be accommodated in the upper compartment. A late start in the morning meant we joined a long queue of white-haired cruise ship passengers. Check the cruise schedule and plan to arrive before the cruise boats dock or later in the day. You can also buy tickets online. The cars have large windows and a glass roof to enjoy the view. Despite being squashed in like sardines the kids loved the ride. The view at the top is beautiful looking out over the city and the harbour area below. There is a fantastic playground at the top with plenty of slides, climbing frames and areas to sit and picnic. You’ll also find clean public toilets at the upper station too. Once you are up Mount Floyen there is plenty more to explore. Alongside the playground is the troll trail, trolls carved into wood decorate this fun obstacle course. Disney Frozen fans will go crazy for this. The forest has lovely thick moss, dense undergrowth a small streams, graded paths suitable for strollers as well as small boardwalks and natural trails dictated by the landscape. During the summer months can go boating on Skomakerdiket lake. A 10-minute walk from the troll trail. Park staff are on hand with canoes and life-vests that can be used for free. The weather is incredibly unpredictable so be sure to bring full rain gear and waterproof shoes. If you want to spend some time hiking deeper into the forest you’ll find details of 10 hikes between 1.5 and 6 hours here . If you have less time collect a free map from the upper station and pick your own loop through the forest. I had planned on walking back down to Bergen but after missing the right path and doing a few unplanned loops through the forest decided to return on the Floibanen. The path down is suitable for pushchairs and takes 45-60 minutes. Bryggen has been the centre of trade and activity in Bergen since the 12th Century, the wooden buildings have burnt down and been built a number of times. Bryggen and the surrounding harbour was the inspiration for the city of Arrandel in Disney’s Frozen movie and this was immediately recognisable. 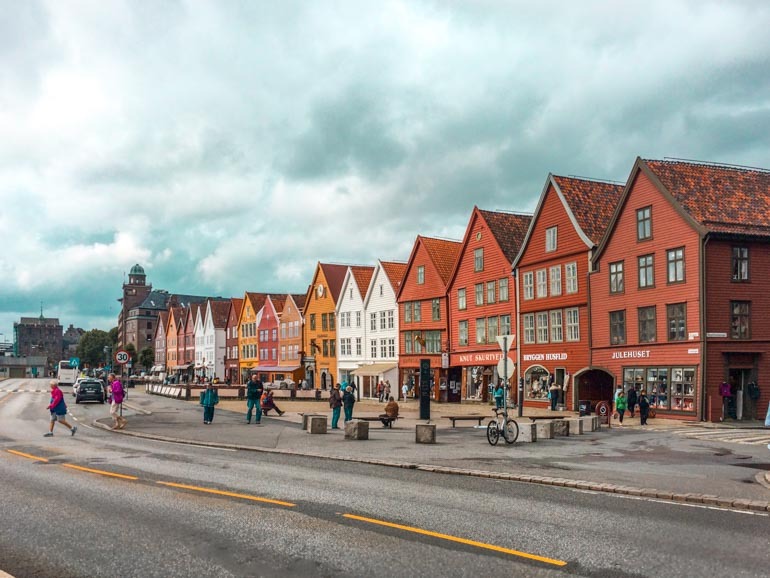 You can learn more about the history of the area at the Bryggen Museum. 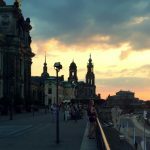 The buildings are filled with authentic souvenir and craft stores as well as a number of restaurants. There isn’t much to do for children but it makes for a nice walk and some photos. If you want to see some more architecture typical for the area head through Bryggen to the narrow cobbled lanes behind. Heading up the hill you will find tiny wooden row houses, painted in white and pastels with colourful planter boxes. You can also catch a boat to Bergen Aquarium from Bryggen, the reviews of the aquarium weren’t great so we decided to skip that. The Ulriken Cable car will take you 643 metres above sea level and on a clear day, you will be treated to spectacular views over Bergen. The cloud was hanging low on the day we planned to visit so we skipped it this time around. There is a shuttle bus which runs between May and September every half an hour from the tourist information centre. Located near the Fish Market. Or you can take a public bus which stops a 10-minute walk from the cable car. Expect a queue if there is a cruise ship in port. There are hiking trails at the top as well as a cafe and a 300m zip line experience for adrenaline junkies (8 years and over). The KODE museum is a collection of 4 museums, found near the fountain lake in Bergen. 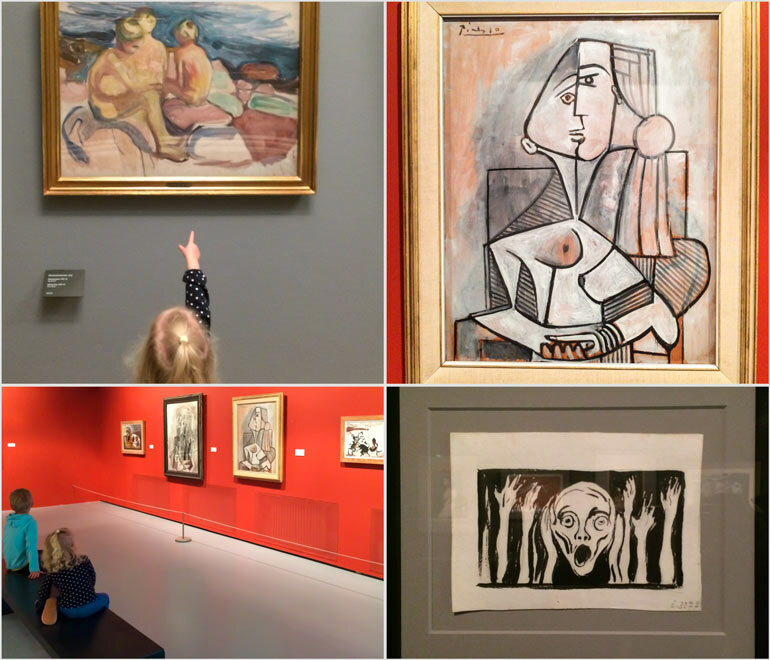 The KODE museum holds the most significant collection of art in Norway and would take a full day and patient kids to visit all the exhibits. Open every day (except Mondays in the winter), children under 16 have free entry. There is a fantastic children’s art museum in Kode 4. Here you’ll find child-friendly exhibitions and an interactive art laboratory where children can interact, play and learn about light, colour and shapes. The Kode Museum has fantastic collections by Norwegian artists Munch and Dahl. Munch is best known for his “Scream” artwork. My children do show a lot of interest in art, especially if I talk with them as we look for interesting details. Leave the Children’s Museum until last if you have any hope of seeing the other artworks. The best way to do the famous Norway in a nutshell tour is when you are transferring between Oslo and Bergen but if this is not possible you can complete the Fjords portion of the tour as a day trip from Bergen. Norway in a Nutshell leaves at 0843 in the morning returning to Bergen at 1757. Apart from the train trip from Oslo-Myrdal, the route is the same. READ NEXT: Norway in a Nutshell with kids: The complete guide. The Hardangerfjord has been described as the queen of the Fjords. 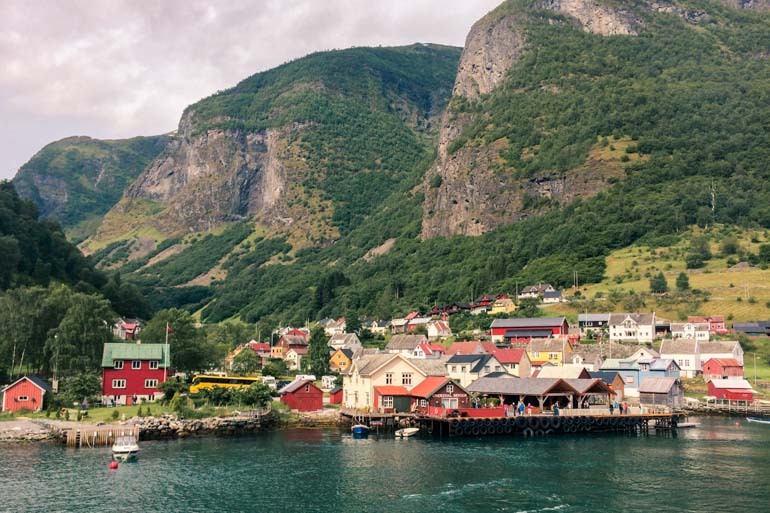 A scenic train to Voss followed by a bus and a Ferry cruise on the Fjord, sightseeing at Norway’s largest waterfall before returning to the boat and finishing with a bus ride back to Bergen. The tour leaves Bergen at 0843 returning at 1910. While a long day for many families the Hardangerfjord in a Nutshell offers an equally spectacular alternative to the Norway in a Nutshell tour. The jury seems to be out on which is better Hardangerfjord or Norway in a nutshell, you can’t go wrong with either. This attraction is highly interactive and perfect for children of all ages. Great for rainy days and there are plenty of those. Plan to spend at least 2 hours there. 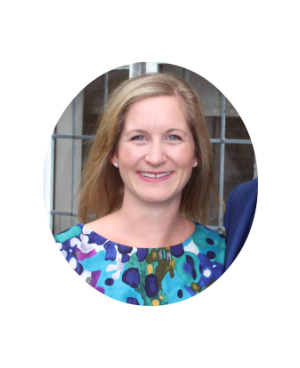 Be sure to check the website for opening times, which do vary throughout the year. The Vilvite website also has details on how to arrive by public transport. We actually didn’t bring our swimsuits favouring instead warm clothes and wet weather gear. Vannkanten is a large indoor swimming complex with waterslides, a baby pool and lazy river. The waterpark can be reached by public bus. For something quite unique head to the Nordnes seawater pool. The water is heated to a pleasant temperature of 25 deg. Do like a local and warm yourself in one of the saunas before jumping into the bracing 12 deg water of the Fjord. Nordnes seawater pool is near the aquarium and can be reached by public bus. Train: You can take a direct train from Oslo or incorporate your arrival from Oslo with the Norway in a Nutshell route. 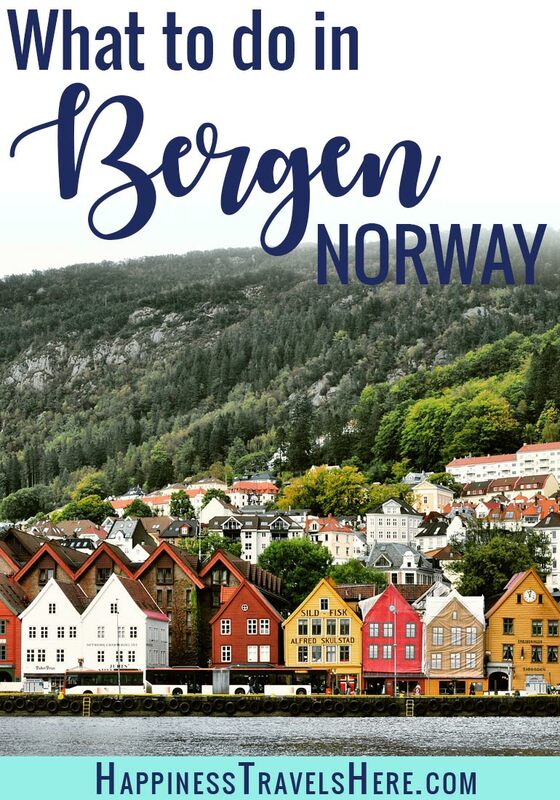 Getting between Bergen airport and city centre is easy using the Bergen airport bus, you can find more details here, there are multiple drop off points within the city and stewards on hand at most stops to help with tickets and luggage. Unfortunately the hotel where we stayed no longer allows 3 in a room so is unsuitable for families. Read Next: Top tips on flying with a baby. 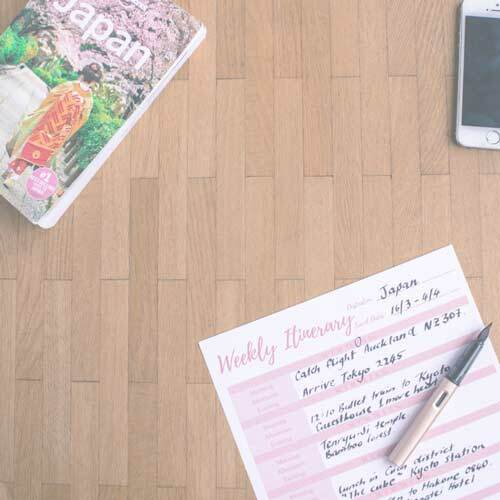 Don’t forget your free travel planner. Click here to download.